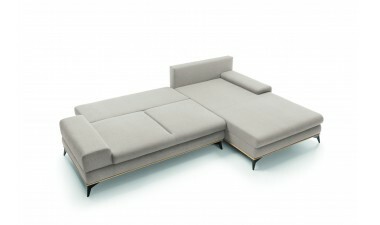 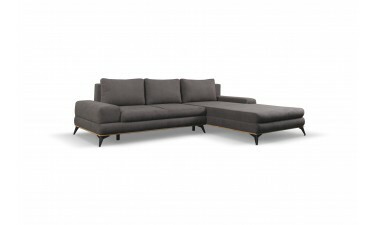 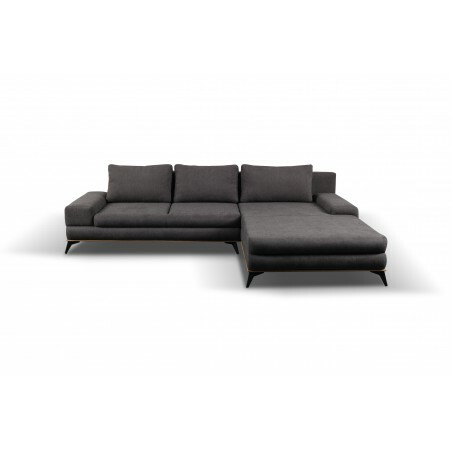 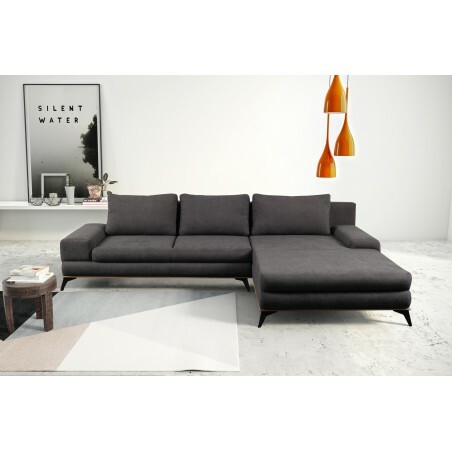 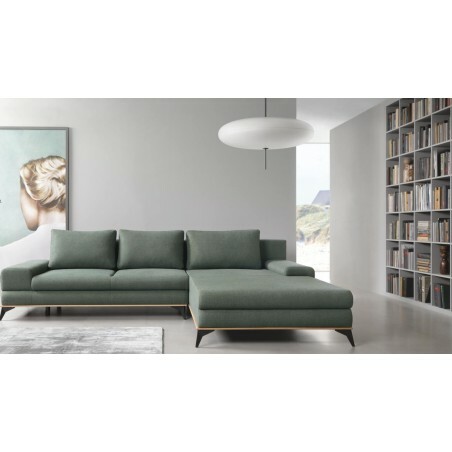 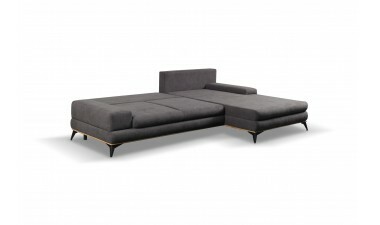 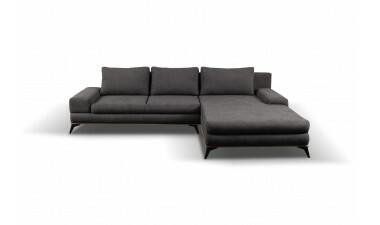 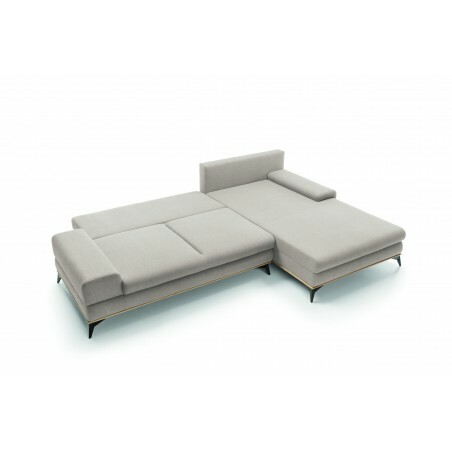 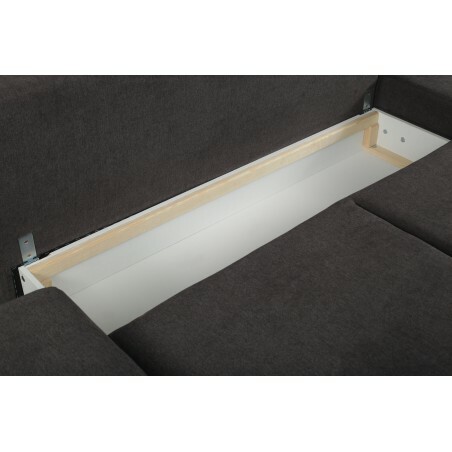 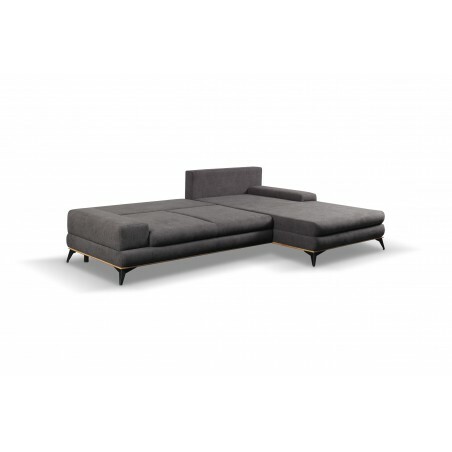 Corner sofa with sleeping function and container for bedding Milano. 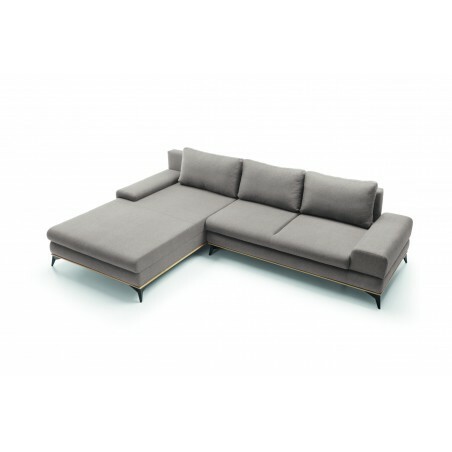 The panoramic seat line is emphasized by low raised armrests and a bright wood accent. A simple form will notice the modern interior style. 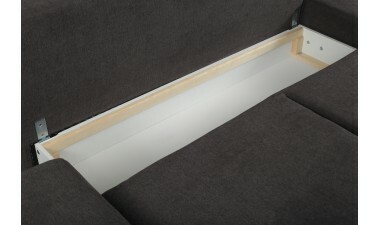 A corner made on a wooden frame. 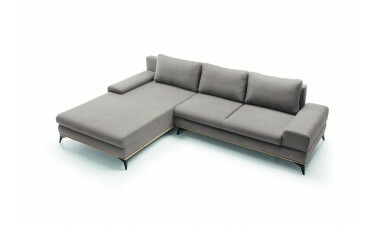 The seat is a medium-hard foam under which a corrugated spring was used. 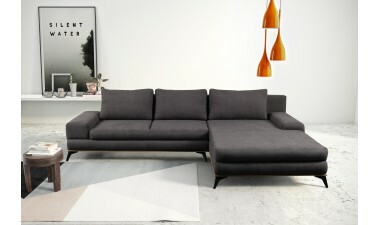 It can be made in fabric or faux leather available in our store. 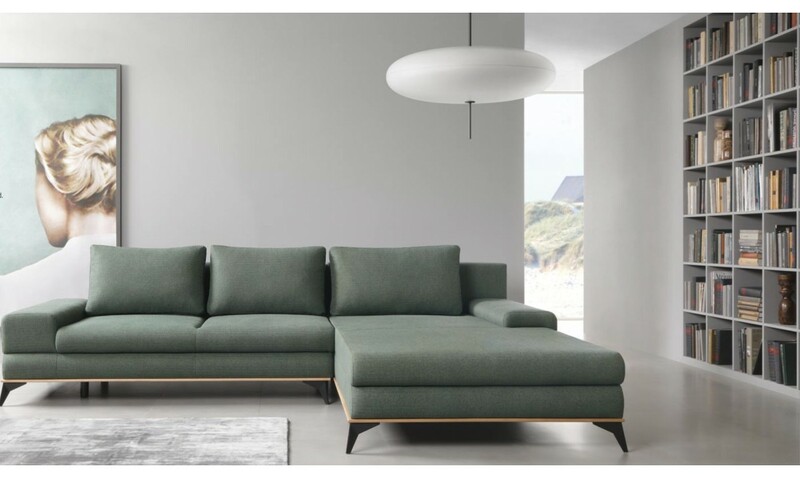 * Fabric (seat and backrest) Select Malmo 1 Malmo 5 Malmo 8 Malmo 16 Malmo 23 Malmo 26 Malmo 28 Malmo 37 Malmo 41 Malmo 61 Malmo 63 Malmo 72 Malmo 79 Malmo 81 Malmo 83 Malmo 85 Malmo 90 Malmo 92 Malmo 94 Malmo 95 Malmo 96 Loft 1 Loft 2 Loft 3 Loft 4 Loft 6 Loft 10 Loft 11 Loft 12 Orion 1 stain resistance + £40 Orion 2 stain resistance + £40 Orion 3 stain resistance + £40 Orion 4 stain resistance + £40 Orion 5 stain resistance + £40 Orion 6 stain resistance + £40 Orion 7 stain resistance + £40 Orion 8 stain resistance + £40 Orion 9 stain resistance + £40 Orion 10 stain resistance + £40 Orion 11 stain resistance + £40 Orion 12 stain resistance + £40 Orion 13 stain resistance + £40 Orion 14 stain resistance + £40 Orion 15 stain resistance + £40 Orion 16 stain resistance + £40 Orion 17 stain resistance + £40 Orion 18 stain resistance + £40 Orion 19 stain resistance + £40 Orion 20 stain resistance + £40 Orion 21 stain resistance + £40 Orion 22 stain resistance + £40 Orion 23 stain resistance + £40 Orinoco 21 Orinoco 22 Orinoco 23 Orinoco 24 Orinoco 29 Orinoco 40 Orinoco 51 Orinoco 64 Orinoco 80 Orinoco 85 Orinoco 96 Orinoco 100 Hamilton 2801 Hamilton 2802 Hamilton 2803 Hamilton 2804 Hamilton 2805 Hamilton 2806 Hamilton 2807 Hamilton 2808 Hamilton 2809 Hamilton 2810 Hamilton 2811 Hamilton 2812 Hamilton 2813 Hamilton 2814 Hamilton 2815 Hamilton 2816 Hamilton 2817 Hamilton 2818 Graceland Zest + £30 Graceland Teal + £30 Graceland Wine + £30 Graceland Taupe + £30 Graceland Sky Blue + £30 Graceland Mocha + £30 Graceland Lavender + £30 Graceland Graphite + £30 Graceland Granite + £30 Graceland Cream + £30 Graceland BM Silver + £30 Crushed Velvet Glitz Black Crushed Velvet Glitz Chocholate Crushed Velvet Glitz Cream Crushed Velvet Glitz Ice Crushed Velvet Glitz Purple Crushed Velvet Glitz Silver Crushed Velvet Glitz Truffle Plush/Velvet Malia Aqua + £40 Plush/Velvet Malia Burgundy + £40 Plush/Velvet Malia Celery + £40 Plush/Velvet Malia Cream + £40 Plush/Velvet Malia Espresso + £40 Plush/Velvet Malia Mole + £40 Plush/Velvet Malia Mushroom + £40 Plush/Velvet Malia New Caffee + £40 Plush/Velvet Malia Optic + £40 Plush/Velvet Malia Putty + £40 Plush/Velvet Malia Shiraz + £40 Plush/Velvet Malia Tumeric + £40 Linoso Black + £30 Linoso Burn-orange + £30 Linoso Charcoal + £30 Linoso Cream + £30 Linoso Denim + £30 Linoso Diva-purple + £30 Linoso Duckegg + £30 Linoso Grape + £30 Linoso Light-blue + £30 Linoso Lime + £30 Linoso Mint + £30 Linoso Oliwe + £30 Linoso Orchid + £30 Linoso Sand + £30 Linoso State-grey + £30 Linoso Truffle + £30 Select Fabric (seat and backrest)! 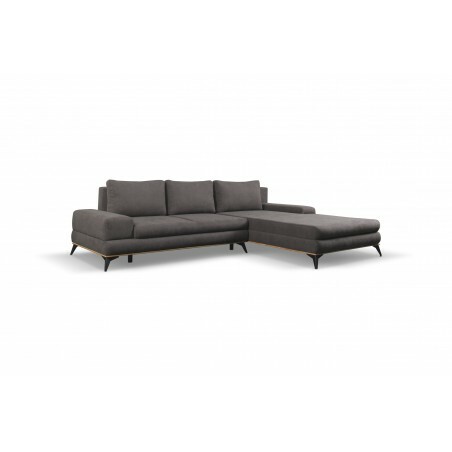 * Fabric (sides and bottom) Select Malmo 1 Malmo 5 Malmo 8 Malmo 16 Malmo 23 Malmo 26 Malmo 28 Malmo 37 Malmo 41 Malmo 61 Malmo 63 Malmo 72 Malmo 79 Malmo 81 Malmo 83 Malmo 85 Malmo 90 Malmo 92 Malmo 94 Malmo 95 Malmo 96 Loft 1 Loft 2 Loft 3 Loft 4 Loft 6 Loft 10 Loft 11 Loft 12 Orion 1 stain resistance + £40 Orion 2 stain resistance + £40 Orion 3 stain resistance + £40 Orion 4 stain resistance + £40 Orion 5 stain resistance + £40 Orion 6 stain resistance + £40 Orion 7 stain resistance + £40 Orion 8 stain resistance + £40 Orion 9 stain resistance + £40 Orion 10 stain resistance + £40 Orion 11 stain resistance + £40 Orion 12 stain resistance + £40 Orion 13 stain resistance + £40 Orion 14 stain resistance + £40 Orion 15 stain resistance + £40 Orion 16 stain resistance + £40 Orion 17 stain resistance + £40 Orion 18 stain resistance + £40 Orion 19 stain resistance + £40 Orion 20 stain resistance + £40 Orion 21 stain resistance + £40 Orion 22 stain resistance + £40 Orion 23 stain resistance + £40 Orinoco 21 Orinoco 22 Orinoco 23 Orinoco 24 Orinoco 29 Orinoco 40 Orinoco 51 Orinoco 64 Orinoco 80 Orinoco 85 Orinoco 96 Orinoco 100 Hamilton 2801 Hamilton 2802 Hamilton 2803 Hamilton 2804 Hamilton 2805 Hamilton 2806 Hamilton 2807 Hamilton 2808 Hamilton 2809 Hamilton 2810 Hamilton 2811 Hamilton 2812 Hamilton 2813 Hamilton 2814 Hamilton 2815 Hamilton 2816 Hamilton 2817 Hamilton 2818 Graceland Zest + £30 Graceland Teal + £30 Graceland Wine + £30 Graceland Taupe + £30 Graceland Sky Blue + £30 Graceland Mocha + £30 Graceland Lavender + £30 Graceland Graphite + £30 Graceland Granite + £30 Graceland Cream + £30 Graceland BM Silver + £30 Crushed Velvet Glitz Black Crushed Velvet Glitz Chocholate Crushed Velvet Glitz Cream Crushed Velvet Glitz Ice Crushed Velvet Glitz Purple Crushed Velvet Glitz Silver Crushed Velvet Glitz Truffle Plush/Velvet Malia Aqua + £40 Plush/Velvet Malia Burgundy + £40 Plush/Velvet Malia Celery + £40 Plush/Velvet Malia Cream + £40 Plush/Velvet Malia Espresso + £40 Plush/Velvet Malia Mole + £40 Plush/Velvet Malia Mushroom + £40 Plush/Velvet Malia New Caffee + £40 Plush/Velvet Malia Optic + £40 Plush/Velvet Malia Putty + £40 Plush/Velvet Malia Shiraz + £40 Plush/Velvet Malia Tumeric + £40 Linoso Black + £30 Linoso Burn-orange + £30 Linoso Charcoal + £30 Linoso Cream + £30 Linoso Denim + £30 Linoso Diva-purple + £30 Linoso Duckegg + £30 Linoso Grape + £30 Linoso Light-blue + £30 Linoso Lime + £30 Linoso Mint + £30 Linoso Oliwe + £30 Linoso Orchid + £30 Linoso Sand + £30 Linoso State-grey + £30 Linoso Truffle + £30 Select Fabric (sides and bottom)!